This small wind spinner is made from stainless steel and has a pretty butterfly design in the centre. It has been powder coated thus preventing rusting and has a handy hook for you to attach to a tree in your garden. 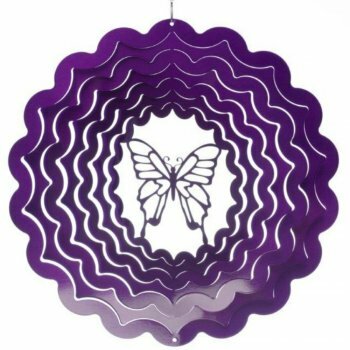 This spinner would make a really cute gift idea for anyone who loves butterflies and their garden!